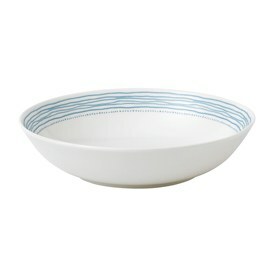 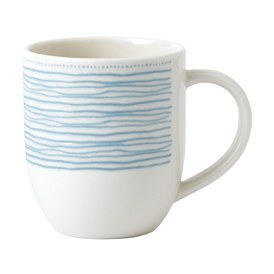 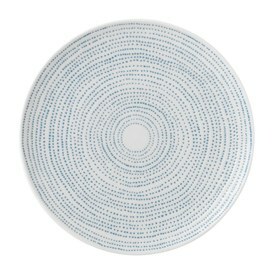 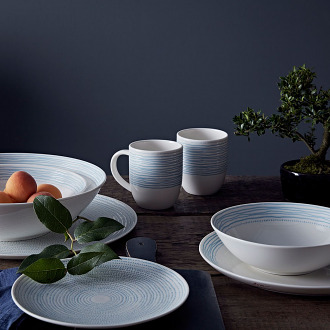 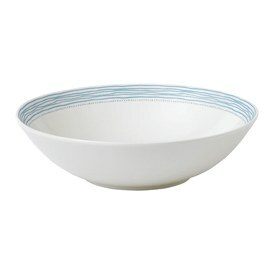 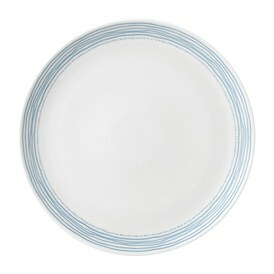 The ED Ellen DeGeneres Crafted by Royal Doulton collection Polar Blue Dots tableware in white ceramic features a series of concentric dots and lines, forming a unique, tactile pattern, textured in a light polar blue. 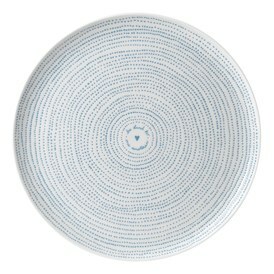 Ellen’s mantra ‘Be kind to one another’ is at the centre of the sharing Platter and her Love signature appears in red on the underside of the rim of each plate which adds a subtle charm and delight. 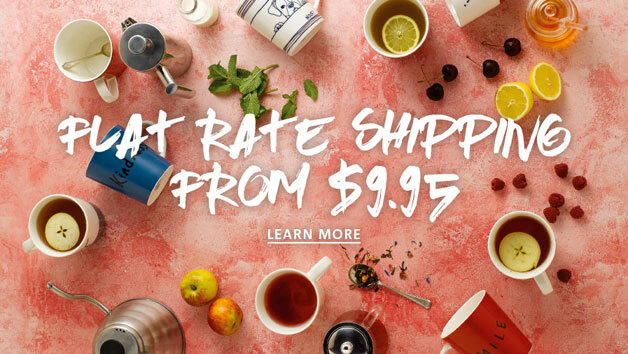 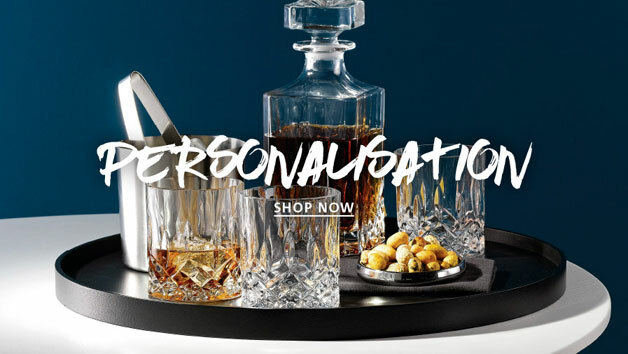 Dishwasher and microwave safe, this range is designed to mix and match with other elements in the collection to create stylish, casual and joyful entertaining moments at home. 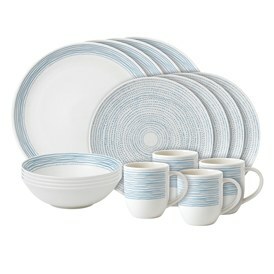 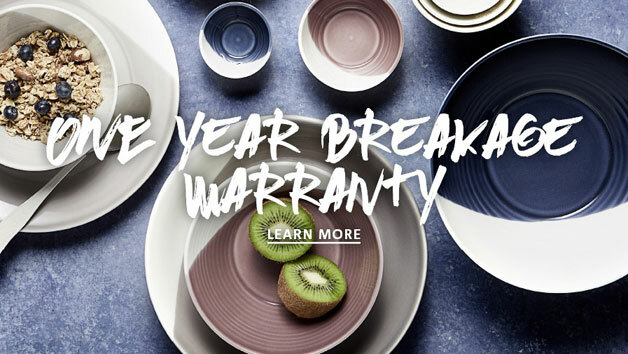 See also, ED Ellen DeGeneres Polar Blue Sets collection.